On this page you find our current offer of classes. More offers will be announced regularly. This will be repetitions of overbooked classes, new classes, new language offers. To stay informed on all our new offers, please follow/like our Facebook Page. If you have questions or want to register, click here. This one-session course will introduce participants to the different components of a computer, how to properly maintain a computer and the different operating systems. It will also explain the main risks associated with computer use in our digital world. This course is mandatory for people who want to receive a free used computer (how to get a free computer). This 4-session course is meant for absolute beginners who have no or little experience with computers. Using Tigrinya as the teaching language, we will cover the very first steps on how to use a computer and how to be digitally autonomous. ቛንቛ ትግርኛ ዝዛረቡ ኣጠቓቕማ ኮምፒተር ፈጺሞም ዘይፈልጡ ወይ ድሩት ኣፍልጦ ዘለዎም ማሓዙት ኣለውኹም’ዶ ? This course is the continuation of “First steps with computers” in Tigrinya. It will introduce participants to email account management and use, as well as to text writing and formatting in Word. At the end of this course, participants will be ready to continue their training in our English or French language Computer Essentials courses. On the occasion of March 8, International Women’s Day 2019, Digital Inclusion organizes a “Women Computer Café” where women can meet in a relaxed, friendly and supportive environment to improve their computer skills. A l’occasion du 8 mars, journée de la femme 2019, Digital Inclusion organise un « Ordi-café pour les femmes » lors duquel les femmes pourront se rencontrer en toute convivialité et améliorer leurs compétences en informatique. This 8-session training will teach the essentials of computer use, file management, Web browsing, online communication, text editing, and spreadsheets. The course’s contents are based on the European Computer Driving Licence (ECDL) – Basic, the standard IT certification in Europe. Participants are encouraged to follow up their computer training by also participating in our “ECDL Test Preparation course”. Este curso de 4 sessões é para pessoas que tenham pouca or nenhuma experiência com computadores e será ensinado em português. Ensinaremos os primeiros passos necessários para se usar um computador e para como ser independente digitalmente. · Onde: Consulte nossa página do Facebook! · O cadastro não é necessário! · Esse treinamento é projetado para preparar os participantes para o curso “Fundamentos da informática” (veja descrição desse curso abaixo), portanto os participantes são encorajados a seguir ambos os cursos! This 4-session course is meant for absolute beginners who have no or little experience with computers. Using Portuguese as teaching language, we will teach the very first steps of how to use a computer and to be digitally autonomous. A disciplina “Fundamentos da informática” é organizada em 8 sessões matinais. Ensinaremos os fundamentos do uso de computadores, gerenciamento de arquivos, navegação na internet, comunicação online, edição de textos e criação de planilhas. Este é um curso preparatório para a Certificação ECDL (European Computer Driving Licence / Carta Européia de Condução em Informática). Esta é uma certificação em TI padrão na Europa, o que a torna uma qualificação útil na busca por um emprego. o O cadastro é obrigatório! O número de participantes é limitado! Ce cours de 8 séances vous apprendra l’essentiel sur l’ordinateur, le web et la communication, l’édition de textes et de tableaux. Nous offrons aussi cette formation en Anglais et en Portugais ! · Où : regardez notre Page Facebook ! · Prix : gratuit ! Este curso de 4 sesiones es para personas que tengan poca o ninguna experiencia con computadoras y será impartido en español. Ensenaremos los primeros pasos necesarios para usar una computadora y para ser autónomo digitalmente. Dans ce cours, les participants seront initiés aux clés de la programmation de sites web, afin de créer des sites internet attrayants et efficaces – un talent recherché sur le marché de l’emploi. This 4-session course in Arabic will teach the basics of text editing and spreadsheets (Word and Excel, mainly). Participants will learn how to write nice-looking documents and how to use spreadsheets for basic calculations. At the end of this course, participants will be ready to continue their training in our English or French language Computer Essentials courses. This 4-session course is meant for absolute beginners who have no or little experience with computers. Using Farsi as teaching language, we will teach the very first steps of how to use a computer and to be digitally autonomous. This 4-session course is meant for absolute beginners who have no or little experience with computers. 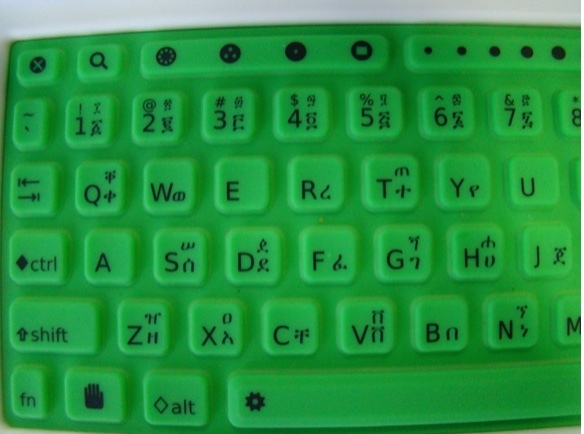 Using Amharic as teaching language, we will teach the very first steps of how to use a computer and to be digitally autonomous. The aim of this two-session course is to use digital skills to increase the employment chances of participants. This will include job search, and CV and application writing. 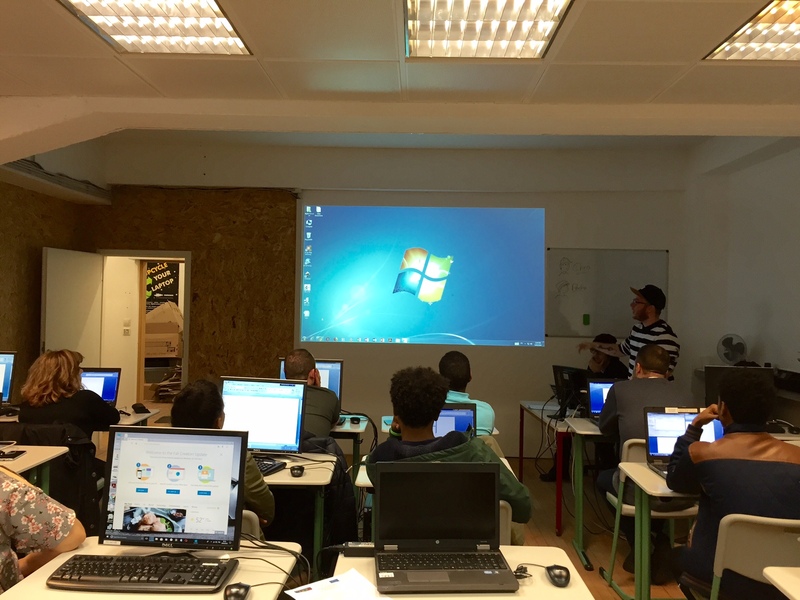 L’objectif de ces deux cours est d’améliorer l’accès à l’emploi des participants en développant leurs compétences numériques. Les cours aborderont la recherche d’emploi et la rédaction du CV. We all know how everyone in Luxembourg is on the way to learning at least one language! This course is designed to get to know more about online language-learning resources, where participants will discover different online tools to improve their language skills. Come and learn new ways of using computers to learn languages! This 4-session course will prepare participants for the European Computer Driving Licence (ECDL) – Basic official examination, which in Luxembourg is organized by the Chambre des Salariés. People who have participated in our Computer Essentials courses will benefit from priority registration! Ce cours de 4 séances vous préparera pour l’Européen Certificat de compétence de base en informatique (ECDL) _ Examen officiel de base, organisé au Luxembourg par la Chambre des Salariés. Les personnes ayant participé à nos cours Computer Essentials bénéficieront d’une inscription prioritaire! In this 4-session course, participants will be introduced to the main online tools and applications for efficient teamwork. The course will teach how to use tools for co-editing documents, collaborative presentation design, time and task management in teams, as well as group video conferences. It will also talk about sharing files using cloud services. This one-session course will introduce you to the different computer components, to how to properly maintain a computer, and to the different operating systems. This course is mandatory for people who want to receive a free recycled computer (how to get a free computer). Do you have Tigrinya-speaking friends who have no or little experience with computers? We need your help to reach out to them and inform them about our offer. This 4-session course is meant for absolute beginners who have no or little experience with computers. Using Tigrinya as teaching language (spoken in Eritrea and Ethiopia), we will teach the very first steps of how to use a computer and to be digitally autonomous. This 4-session course in Arabic will teach the basics of text edition and spreadsheets (Word and Excel, mainly). Participants will learn how to write nice-looking documents and to use spreadsheets for basic calculations. In this 6-session course, participants will be introduced to key web programming skills (HTML, CSS) that are highly valued in the job market. By learning the basics of web development, participants will know how to build and maintain cool and effective websites (however, the course will not address how to buy a domain or hosting space). In this 3-session course, participants will be introduced to the main online tools and applications for efficient teamwork. The course will teach how to use tools for co-editing documents, collaborative presentation design, time and task management in teams, as well as group video conferences. It will also talk about sharing files using cloud services. The development of the Internet is fascinating and its consequences in our daily life are far-reaching. In this workshop, we will talk about the opportunities and risks associated to the use of Internet. This workshop is aimed for adults already exposed to digital technologies and for those questioning their use by children and younger generations. Le développement d’internet est phénoménal et bouleverse notre quotidien. Dans cet atelier nous parlerons des opportunités et des risques associés à internet. Ce cours s’adresse aux adultes confrontés aux nouvelles technologies et tous ceux qui se posent des questions sur leur utilisation par leurs enfants. This two-session course will prepare participants for the European Computer Driving Licence (ECDL) – Basic official examination, which in Luxembourg is organized by the Chambre des Salariés. People who have participated in our Computer Essentials courses will benefit from priority registration! We all know how everyone in Luxembourg is on the way of learning at least one language! This course is designed to know more about online language-learning resources, where participants will discover different online tools to improve their language skills. Come and learn new ways of using computers to learn languages! Nous savons que chacun à Luxembourg apprend au moins une langue ! Ce cours est conçu pour en savoir plus sur les ressources d’apprentissage en ligne. Les participants découvriront différents outils en ligne pour améliorer leurs compétences linguistiques. Venez apprendre de nouvelles façons d’utiliser les ordinateurs pour apprendre les langues ! In this course, participants will be introduced to different presentation and image editing software (including Power Point, but also other free alternatives). At the end of the course, participants will have learnt to edit an image and easily share it with others, as well as to use animation tools for cool-looking presentations. Moreover, participants will also be briefed about image rights and privacy. Do you have Arabic-speaking friends who have no or little experience with computers? We need your help to reach out to them and inform them about our offer. This 4-session course is meant for absolute beginners who have no or little experience with computers. Using Arabic as teaching language, we will teach the very first steps of how to use a computer and to be digitally autonomous. This 3-session course is meant for absolute beginners who have no or little experience with computers. Using Portuguese as teaching language, we will teach the very first steps of how to use a computer and to be digitally autonomous. The aim of this two-week summer school is to use digital skills to increase the employability chances of participants. In the first week, several experts will share best practices to find and apply for jobs in Luxembourg using online tools. This will include courses on job searching and application, CV writing, and interview management. In the second week, participants will be introduced to key programming skills that are highly valued in the job market and will put them into practice to build cool and effective websites. L’objectif de ces 2 semaines d’Académie d’été est d’améliorer l’accès à l’emploi des participants en développant leurs compétences numériques. La première semaine, plusieurs experts partageront de bonnes pratiques pour trouver et postuler à un emploi au Luxembourg en utilisant les outils numériques. Les cours aborderont la recherche d’emploi et la candidature, de la rédaction de CV à l’entretien d’embauche. La deuxième semaine, les participants seront initiés aux clés de la programmation, si recherchées sur le marché de l’emploi, afin de créer des sites internet attrayants et efficaces. This 8-session training will teach the essentials of computer use, file management, Web browsing, online communication, text edition, and spreadsheets. The course’s contents are based on the European Computer Driving Licence (ECDL) – Basic, the standard IT certification in Europe. “Initiation à l’informatique, internet, Word, Excel (Français)” – Préparation pour l’European Computer Driving Licence l’ECDL. En 8 séances vous apprendrez l’essentiel sur l’ordinateur, le web et la communication, l’édition de textes et de tableaux. A disciplina “Fundamentos da informática” é organizada em 8 sessões vespertinas. Ensinaremos os fundamentos do uso de computadores, gerenciamento de arquivos, navegação na internet, comunicação online, edição de textos e criação de planilhas. Este é um curso preparatório para a Certificação ECDL (European Computer Driving Licence / Carta Europeia de Condução em Informática). Esta é uma certificação em TI padrão na Europa, o que a torna uma qualificação útil na busca por um emprego. Diese 8-tägige Fortbildung vermittelt die Grundlagen der Computernutzung, Dateiverwaltung, Internet-Browsing, Online-Kommunikation, Textverarbeitung und Excel-Tabellen. Die Inhalte des Kurses entsprechen dem European Computer Driving Licence (ECDL) – Basic, dem Standard IT-Zertifikat in Europa. This 2-session course will prepare participants for the European Computer Driving Licence (ECDL) – Basic official examination, which in Luxembourg is organized by the Chambre des Salariés. People who have participated in our Computer Essentials courses will benefit from priority registration! This 4-session course is meant for absolute beginners who have no or little experience with computers. Using Arabic, Amharic and Tigrinya as teaching languages (the last two are spoken in Eritrea and Ethiopia), we will teach the very first steps of how to use a computer and to be digitally autonomous. This course is addressed only to women and it will teach the basics of computer use, the Internet, Word, and Excel, all in a safe, friendly and supportive only-women atmosphere. Come and join us! This course will introduce you to the different computer components, to how to properly maintain a computer, and to the different operating systems. This course is mandatory for people who want to receive a free recycled computer (how to get a free computer). This 8-session training will teach you the essentials of computer use, file management, Web browsing, online communication, text edition, and spreadsheets. 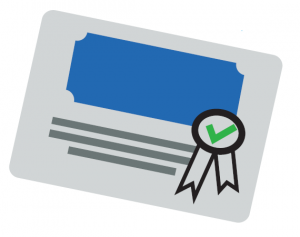 It will prepare you for the European Computer Driving Licence – Basic (ECDL), the standard IT certification in Europe! This 3-week training will teach you the key skills to create your own website, use HTML and CSS coding languages, and create quality content for the Web. Do you have Tigrinya-speaking friends who struggle with computers? This 4-session course is meant for them, as it will teach the basic skills and actions that one needs to use a computer and to be digitally autonomous.